Once in a while, you find yourself at home without a lot of groceries on hand and you need to make a quick dinner. You haven't thought much about it in advance so you need to come up with something using what you have in the house and you want it to be relatively quick to prepare. That was me last Sunday night. It was a busy weekend, mostly because my husband and I were tackling a little home project of painting one of our rooms in preparation for new carpet installation. Even when it's busy, I still like to cook for my family on the weekends as much as I can. In recent years, our cravings for take out and eating out has dwindled so much and weekends are when I get the chance to make hot meals we can all dig into together at the same time. So last Sunday, I started thinking about dinner and remembered a pasta recipe I'd pulled out from a magazine recently. Here's what I like about this pasta dish...you use tomato paste as the basis for the sauce. So no tomatoes, no problem! When I buy a new container of tomato paste, I like to portion out the extra in tablespoon mounds and freeze them. This way, I can grab what I need from the freezer when a recipe calls for it. I often use tomato paste - loosened with a bit of hot water and seasoned with some olive oil, salt, pepper, and dry oregano - to make a tomato "sauce" base for pizza at home. This dinner comes together in under 30 minutes. Olive oil, thinly sliced garlic, tomato paste, and some red pepper flakes get cooked down with some pasta water. Finish cooking the pasta - thin spaghetti in this case - in the liquid and stir in some peas (always in my freezer) and a handful of fresh basil (which I snip from my little herb box). If you like and have time, add a little protein like I did with shrimp. I also grabbed that from the freezer and simply cooked it up in the same pan before starting the sauce. The pasta turned out flavorful and hearty. I served it with garlic bread, which I'd made a few days earlier and tucked away in the freezer (maybe I was subconsciously planning this meal, but my son loves garlic bread). That went in the oven while I made the pasta and we had a fortifying dinner! I suppose I never really came across them and not being a huge buttercream fanatic, they haven't been on my radar. I also thought they would be tricky to make. I'm glad to learn that they're actually not tricky to make, even without special equipment like a whoopie pie pan. So while whoopie pies have been something of a mystery to me, I came to realize that they're just this funny amalgamation of cake, cookie, and cupcake. You basically have two cakes in the guise of cookies sandwiched together with a filling or frosting in the center. In this case, this moist, fluffy chocolate cake is sandwiched with a peanut butter filling. 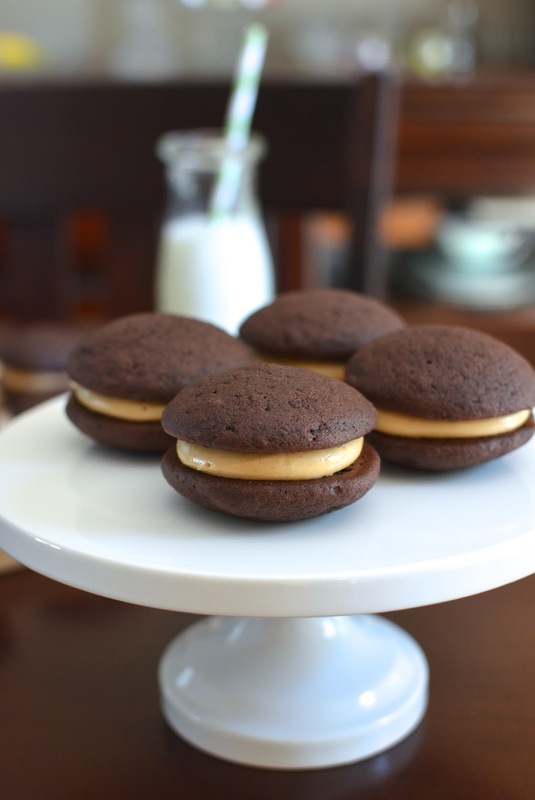 When I saw this whoopie pie recipe, with the peanut butter filling, in Baking Chez Moi (so many great recipes in that book! ), I knew it was a good one for me to make. This girl loves peanut butter, and that flavor is the star of the show here. 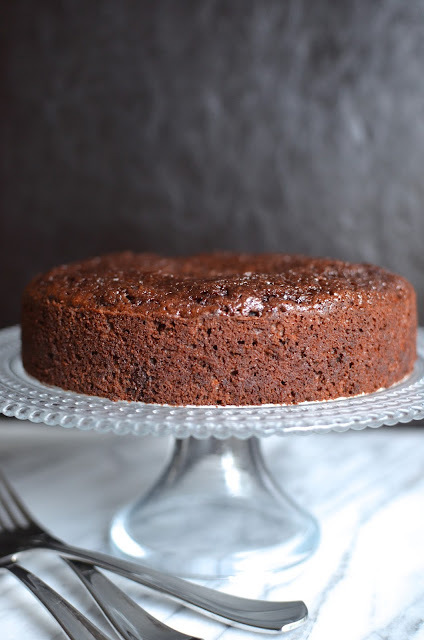 The chocolate cake is perfectly soft, moist, and fluffy - and would, in fact, be great for any number of buttercream or traditional marshmallow fillings for those looking for something else - but one bite of these and the taste is full-on peanut butter thanks to that creamy filling. Another thing I realized is you can store whoopie pies in the fridge and they hold well for a few days. From personal experience, I can tell you they're a great treat for a playdate but they're fun to eat for adults, too! I'd say this whoopie pie baking-and-eating experiment was a good call. Choux pastry is so versatile. 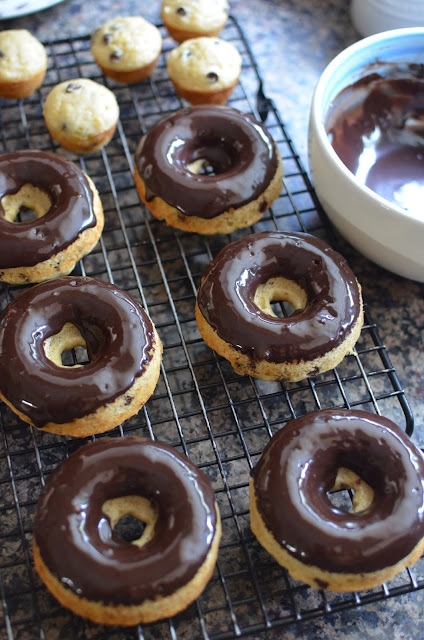 I basically want to tick off all the ways you can spin that light pastry dough into something delicious. And everyone does seem to love all versions of things made with it. You can fill them for cream puffs and profiteroles, make eclairs, or take a savory route by incorporating cheese into the pastry to make gougeres. 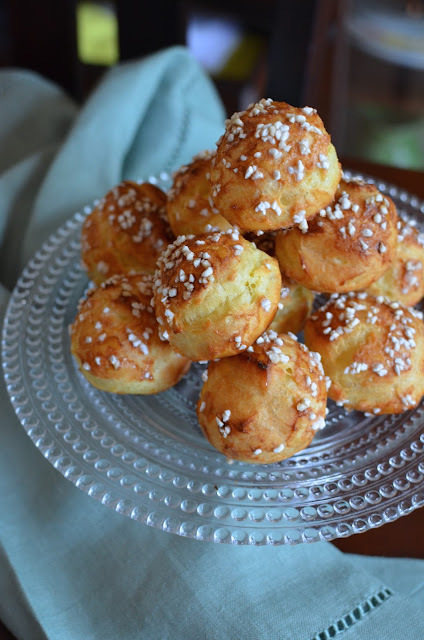 In this case, you can also simply top the dough with coarse pearl sugar to make chouquettes. Chouquettes are cream puffs that are often eaten as a snack in France, packaged by the handful or so in paper sacks. Funny enough, that makes me think of my own history with Chinese egg waffles. While quite different in taste, they are likewise sold in paper sacks and eaten as a snack. They're harder to get your hands on now but I've had more than my fair share of them in the past. But back to chouquettes. 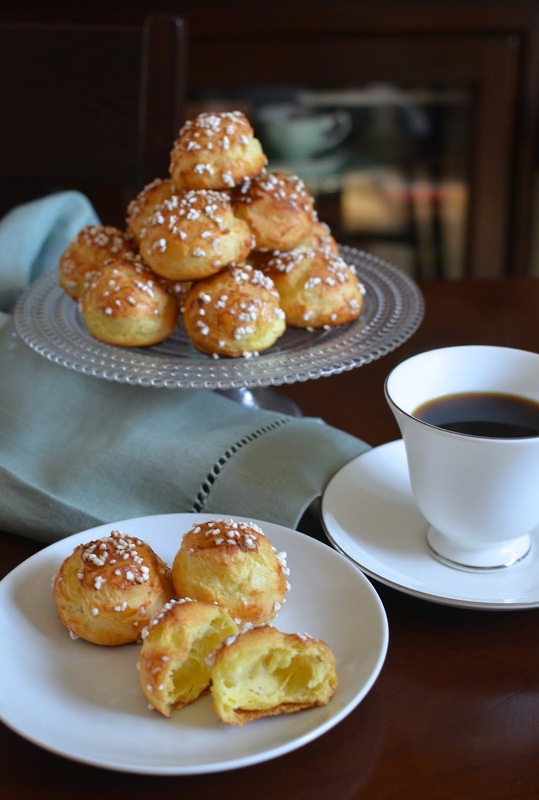 They are simply mounds of choux pastry topped with a coarse pearl sugar and baked until puffed and golden. The chouquettes are super light and airy, with a lovely eggy taste. It's crisp at first bite but soft and tender on the inside. Even with the signature pearl sugar adornment on top (looking remarkably like salt on a New York style pretzel), chouquettes are ever so mildly sweet. With their lightness and airiness, these little puffs almost disappear in your mouth. Traditionally, I think you would see these in a smaller size than my version here, as little bites that you can practically pop whole in your mouth. They are no sweat to make (now that I'm armed with a couple of tips on how to properly cook the dough) and a fun thing to serve - possibly because they look a lot trickier to make than they really are. These certainly do make a wonderful afternoon snack but I made this batch last Sunday to serve with breakfast. My sister, brother-in-law, and niece slept over the previous night to stay with the little guy while my husband and I attended a wedding. The following morning, I whipped this up and we sat down to a little savory and sweet breakfast spread. We had bacon, eggs, and sausage on the savory side and a pile of these light chouquettes as a sweet offering. They went down a treat though I have to say it's always nice to sit down with family for a good weekend breakfast no matter what you're eating! I've been curious about making macarons using the Italian method for a long time. Until now, it's always been the French method (so called because it's based on the method of making French meringue by simply whipping egg whites to stiff peaks). 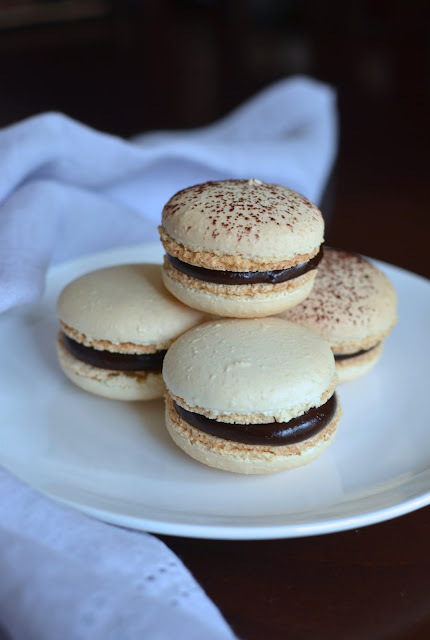 It can be hard to force yourself out of your comfort zone, particularly one relatively hard-earned as was the case for me when it comes to macaron-making. So I've been putting it off and waiting for the "mood" to hit...it finally did and I gave it a try last week (on Bastille Day, coincidentally). When it comes to the Italian method of making macarons, the recipe involves an Italian meringue, where hot sugar syrup is poured into egg whites and beaten to stiff, thick, glossy peaks. To hear it, that alone is a little intimidating. Plus, it adds another step to the already intricate macaron-making process. But I'd heard good things about this method - how it makes the meringue more stable and provides you with a more consistent result. For my inaugural batch of macarons made using the Italian method, I used Dorie Greenspan's recipe from Baking Chez Moi because what better teacher than Dorie for a project like this. As I often do, I divided the recipe in half thinking I didn't need 45 macarons in the house (in the end, however, my quantity turned out quite a bit smaller than expected). Dividing the recipe isn't difficult using a scale but working with a small amount of egg whites is a bit tricky. In the end, it worked out just fine from what I can tell. To focus on the method itself, I made basic almond macarons (no food coloring or additional flavors; I did dust a few with cocoa powder for aesthetics). The filling is a chocolate-hazelnut ganache, which I went with mainly because I wanted to use up some leftover hazelnut praline paste, and because it's delicious. There definitely is a learning curve here and while I'll need to give it another round or two to fully get the hang of it, I have to say that this method did make for a more "professional" (for lack of a better word) caliber macaron. I've almost always had trouble with hallow shells, or a bit of a gap/air pocket in my macaron shells, and this batch turned out dense and chewy, without that noticeable gap. That's pretty major to me since that has always been the main thing bugging me about my homemade efforts. These macarons were sturdier, less-fragile than the ones I make with the French method. Overall, making these macarons was a learning experience. I'm convinced it takes about 3 attempts at a macaron recipe to get it "right" or to be comfortable with it because there's so much like your oven temperature and so on involved that calls for a little "watch-and-see". That said, I've learned not to sweat it. Making macarons requires paying attention to the steps but they don't need to turn out perfect. Much like the French method I've used in the past, I never really know exactly what I'm going to get. Sometimes you get lofty height and prominent feet while, other times, that feet is not quite so pronounced. It was the case here. The macarons on the first baking sheet that went in the oven puffed up quickly and I was actually afraid the shell might split so I actually turned down the oven temperature a bit near the end. Ironically though, the macaron shells settled down after baking and that first batch ended up with a less pronounced feet than the second batch! In the photo above, the plain macaron shells on the left came from the first batch that went in the oven while the cocoa dusted one on the right came from the second batch. The ones from the second batch (the left) had more pronounced feet. You never quite know what you're going to get! They tasted the same and had the same interior texture though. I know you may not feel like turning on the oven or roasting anything right now but despite the season, I can't seem to veer too far away from my regularly scheduled kitchen programming. 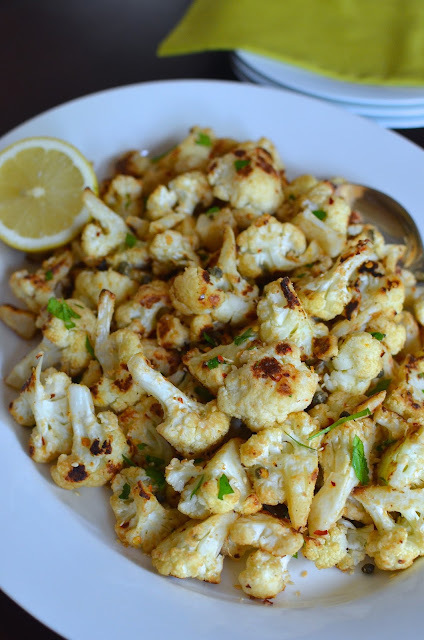 I couldn't resist sharing this because I've become smitten with this little tahini roasted cauliflower recipe. For the most part, I'm basically a purist when it comes to vegetables ("purist" or "boring", you decide...). I am perfectly happy with a plate of plain, steamed vegetables. I steam carrots, broccoli, and cauliflower with almost clockwork-like regularity each week. I also do stir-fry and love roasting vegetables but don't usually stray far from just olive oil and basic seasonings to jazz it up. That said, I do branch out once in a while and I'm beginning to think I should do it more often! I can see (and taste) the merit of a good dressing and how adding other elements can really make a vegetable dish sing. This tahini roasted cauliflower is a perfect example. The cauliflower is tossed in a mixture of tahini, olive oil, red pepper flakes, and capers before roasting, then topped with lemon juice and a sprinkle of parsley once it's out of the oven. It makes a divine result. So I finally bought tahini - entered the world of homemade hummus - and started thinking about other ways to use this nutty sesame paste that's like a milder cousin to peanut butter. Anticipating this foray into cooking with tahini, I ripped out a sheet of recipes from Cooking Light a few months back. 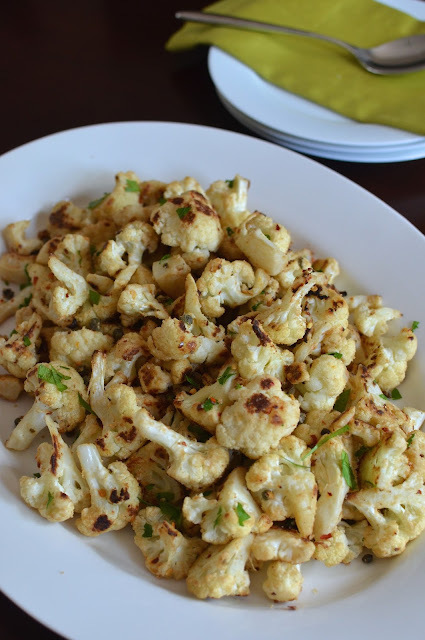 This cauliflower recipe was a "staff fave" and given I buy a head of cauliflower almost every week to steam or roast, it was one of the first things I tried. Well...this is now one of my favorite ways to eat cauliflower! My husband and I are totally smitten with it. Because here's what happens...the cauliflower get coated with this tahini mixture and as it roasts, this dressing creates a kind of “crust” on the cauliflower. It's almost like it’s been breaded and lightly fried. As for flavor, the tahini adds a wonderful light richness and nuttiness. The capers are one of the best parts of the dish, given the dish a little briny tartness. I might still be steaming my vegetables and eating on the plain side most days but this is definitely going into my vegetable rotation. It's easy to make and delicious, dressed-up enough as a wonderful side-dish for a dinner party (I'm even thinking Thanksgiving). There's been so much blueberry love around the internet lately that I couldn't help but be inspired. So I stopped myself from eating all the berries straight from the fridge and set some blueberries aside to make a small-batch of blueberry scones for breakfast. These are courtesy of the wonderful Smitten Kitchen; I saw the scones and they called out to me...low-fuss, not too rich (milk instead of cream, half whole wheat flour, very lightly sweetened with turbinado sugar), and looking sturdy and filled with blueberry goodness. I scaled the recipe down by half because while I've discovered and celebrate the joy of freezing scones for a quick bake when needed, I already have a few others tucked away. I added almonds into the picture here. When I bake, I usually think about incorporating nuts in some way and almonds are indispensable. 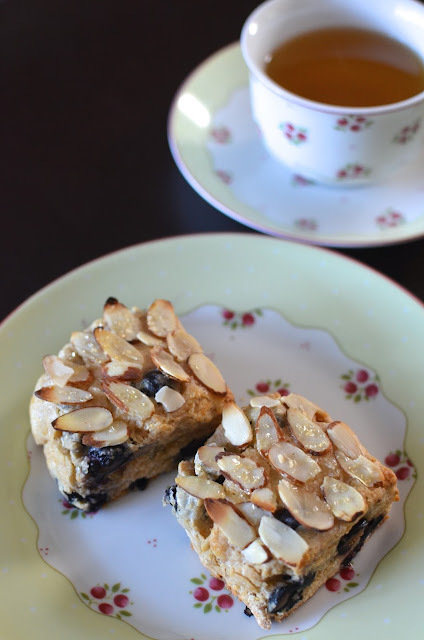 So I added some almond extract into the dough and topped the scones with sliced almonds before baking. I seriously considered stirring some toasted almonds into the scones themselves but well...call me lazy...but it's summer and there seems to be a hundred places to go/things to do so I kept it simple. Along the same vein, I simply shaped the dough into something resembling a square and cut 4 smallish scones out of it. This scone dough is easy to put together and a great make-ahead for breakfast the next morning or as you need it. The dough wasn't as dry and crumbly as I expected and after I baked it, and my husband and I tasted it (the little guy is not quite on the blueberry-bandwagon, unfortunately), we really enjoyed the mild-sweetness as well as the hearty texture of the white whole wheat flour blended in. There is just a very reasonable 2 1/2 tablespoons of butter in these 4 scones and the overall effect is the feeling of enjoying a somewhat decadent breakfast pastry without the consequence of feeling weighed down. I truly love chiffon cakes - that springy, light, moist and tender cake that showcases everything eggs have to offer. So here I am with another version I made a few days ago - lemon. My love for chiffons is pretty well-documented. I started with "plain" vanilla (still my favorite go-to) and went on to banana-chocolate, chocolate, and orange. Now, I can add lemon to my list of delicious chiffon cake options. And really, they never disappoint so please pick one and make it! When it comes to cake, I think my family and I are up for anything regardless of the season or temperature. But if we're going to be more mindful about it, a light chiffon cake - especially one flavored with fresh lemon zest and a touch of lemon juice - is a great way to go as far as dessert for these hot summer days. After the whirlwind of June, and as we adjust to our new summer routine, I still can't seem to stay away from the kitchen for long. It's nice to sit and be idle for a bit but I quickly feel the urge to get into the kitchen and bake something (then write about it here). I make old favorites but also want to try something new. And not finding myself with a huge backlog of things I want to make, I had the pleasure of looking through some of my cookbooks the other day for inspiration. This lemon chiffon cake is what I landed on. And it did not disappoint! 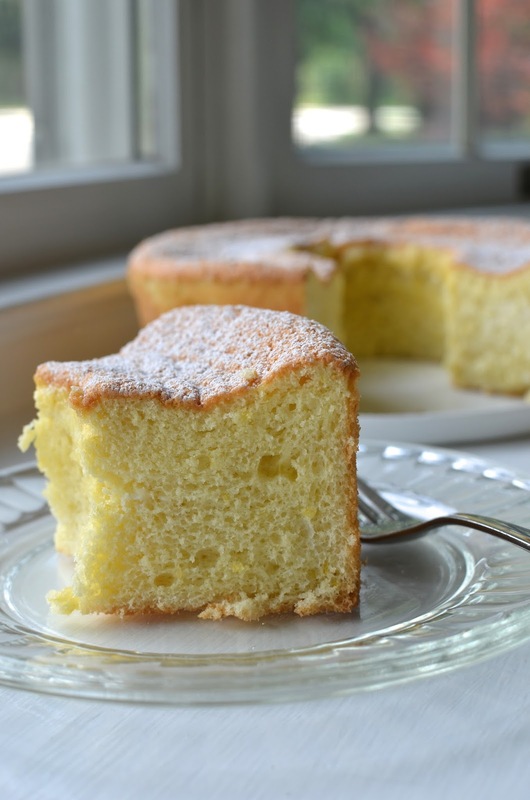 It's classic chiffon cake, with a flavor that's clearly lemon but yet mild and oh so familiar. I could eat this anytime (and I say that every time I eat it)! Since we all know how well lemon goes with fruit, feel free to grab some of those strawberries or blueberries you very likely have in the fridge and enjoy it together.